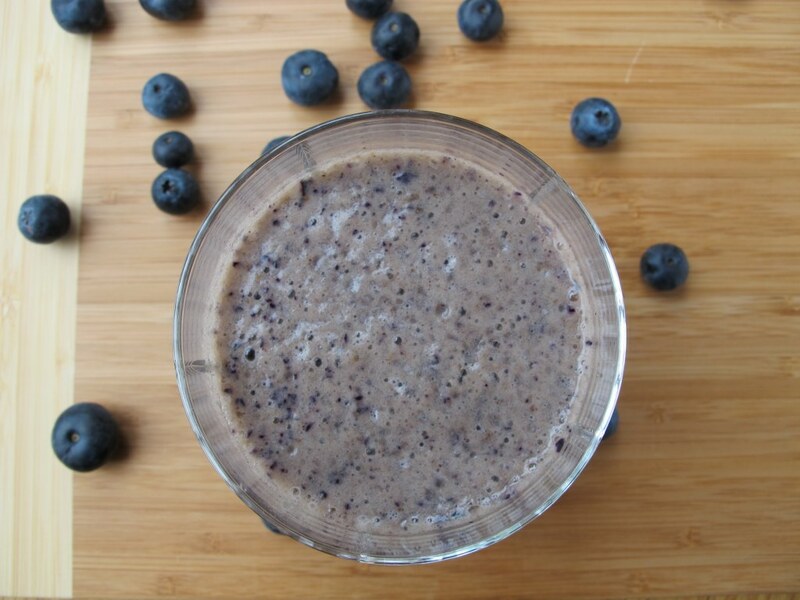 I’m so excited about this Skinny Banana Blueberry Shake because it’s one of my best tasting shake creations! I make shakes and smoothies often. I don’t tend to follow recipes but instead I just throw a bunch of ingredients in the blender, usually whatever I have in the fridge. Sometimes I have a winner and sometimes not so much. A couple of months ago Sally made Skinny Banana Blueberry Muffins. 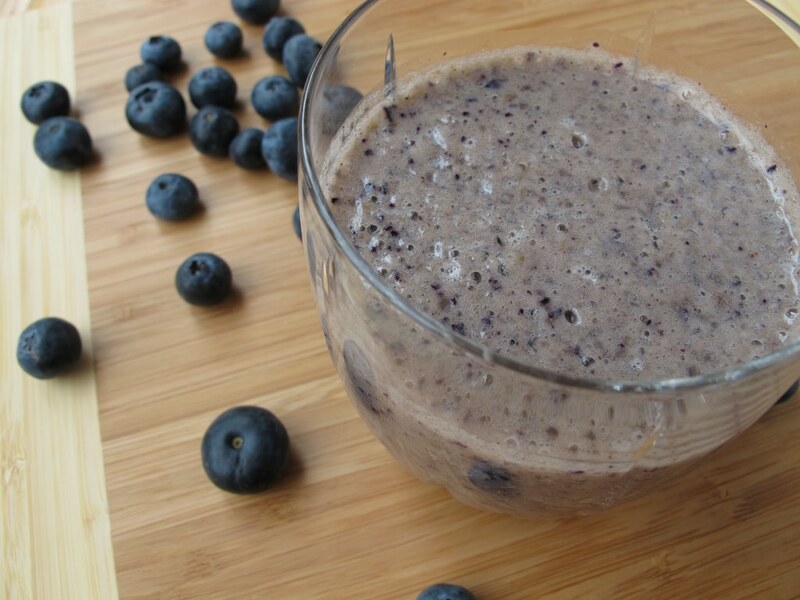 Well, her recipe inspired me to create a Skinny Banana Blueberry Shake. This shake is a delicious way to get all the same flavors from the muffins in a convenient shake form! Put all of the ingredients into a blender and mix well. This is super simple and quick to make. Add the ingredients and blend. You really can’t get easier than that. Shakes are a great way to get my daily dose of fruit and I love a shake that’s packed with fruit flavors, like this one. 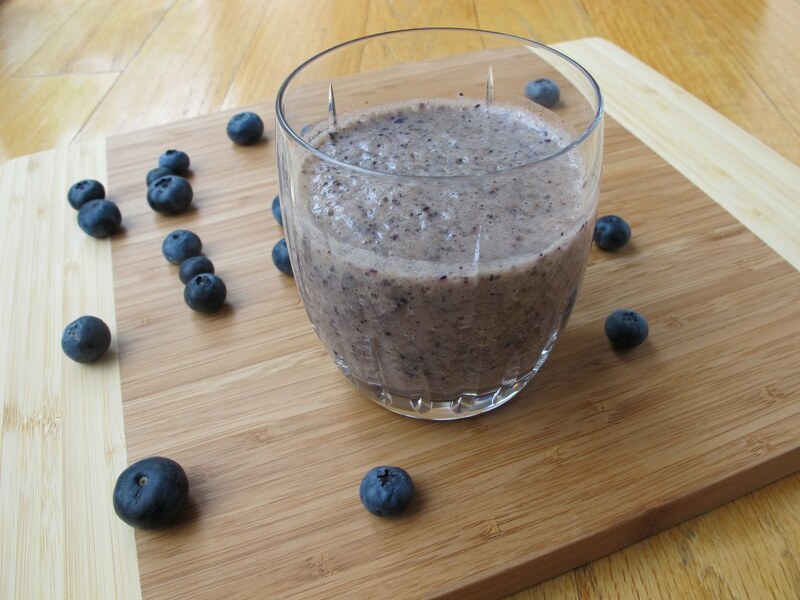 Bananas and blueberries are an amazing combo. You can use frozen blueberries too, instead of fresh ones, if blueberries are out of season or you find them to be way over priced this week at your local grocery store. I just happened to have fresh ones on hand. 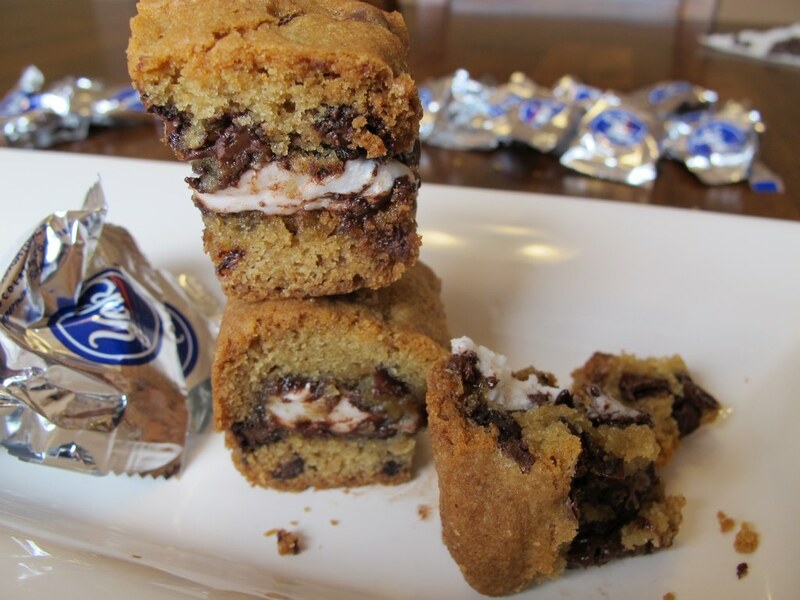 I made these fabulous Peppermint Patty Stuffed Chocolate Chip Cookie Bars from Sally’s Baking Addiction. In the mood for other shakes? 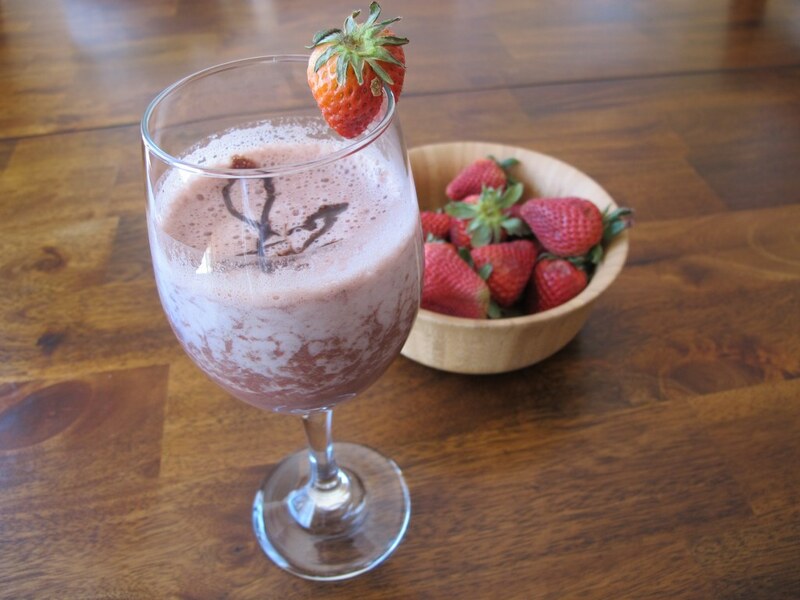 Try my Skinny Strawberry Chocolate Shake. 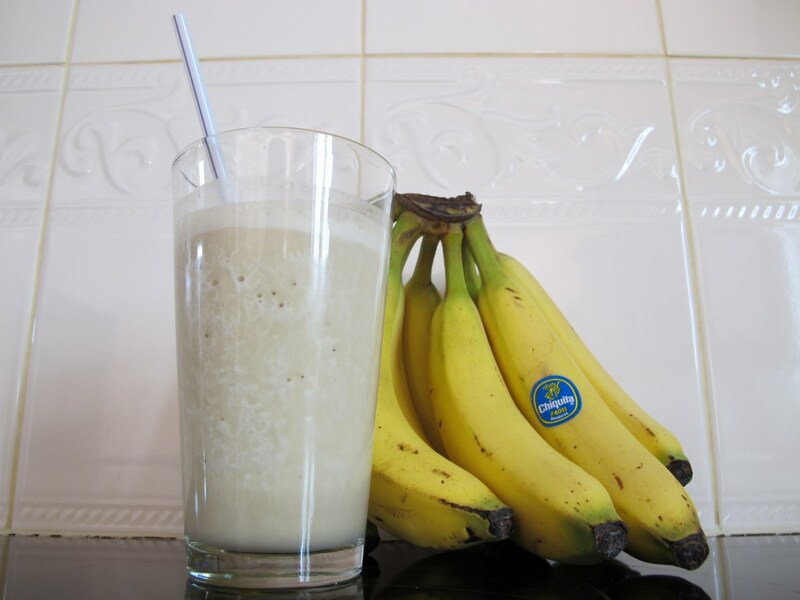 Or my Banana & Peanut Butter Smoothie. This looks great, love taking baking inspiration and turning it into something different. Blueberry shakes make my day!